Guest Contributor @thenumber244 here with a look at the last month in Hello! Project land. That’s right: I take the last month of activity from the Hello! Project groups, run them through multiple sophisticated statistical software systems, and output a highly subjective ranking of the groups. This month, as you might have thought, Morning Musume ’14 dominated from almost the top to the bottom. The MM14 NYC performance was the talk of the idol world and dominated the discussion for almost the whole month. I’m not going to surprise anyone with the choice for #1 H!P Power Ranking. The two large ticket items concerning all of Hello! Project were announced fairly recently. First, the Hello! Project rhythm game for iOS and Android becomes available in early November. I love the character designs, and I can’t wait to get my “tap” on with the new game. Also, continuing with last year’s show, 2014/2015 will end/start with another “Hello! Project ~Goodbye and Hello~” year end show. Like always, we’ll all look forward to the surprise guests and nostalgic performances from H!P past and present. And, with the announcements out of the way, let’s start the November Hello! Project Power Rankings! (=) Let's think about this. The last month of activity brought us a new generation of girls, a concert in New York City, a new single, and a new album. Was there anything that Morning Musume '14 did not do last month? Beginning with the 12th generation introductions, the group started the month strong. Although some fan favorites did not make the group, most of the fandom seems crazy about the new girls. From the Kenshuusei, Tsunku (or was it Michishige Sayumi?) brought in Haga Akane and Makino Maria. Besides a passing resemblance to Michishige Sayumi, Haga Akane becomes the only Morning Musume member to audition for the same generation twice (Akanechin was a finalist for the first, failed "Mirai Shoujo" 12th generation auditions in 2013). Meanwhile, Makino Maria was a finalist for the Morning Musume "Suppin Utahime" 11th generation audition before joining the Kenshuusei. Actually, most Harowota know Maria as a heartbreaker in training. Tsunku also chose two unknown girls: Nonaka Miki and Ogata Haruna. Nonaka Miki spent a few years in the United States where she polished her singing and dancing skills. Most regard Miki as a center-in-waiting with skills that already rival the top girls in the group. Finally, Ogata Haruna began fandom acclaim as an ice skater and a ringer for Sayashi Riho. Over the last month, Haruna's past on social media came to light, and she is a certified ham. Next year we will see if the 12th generation's influx of talent, looks, and personality will be enough to lessen the sting of Michishige Sayumi's departure. In the Western fandom, the Morning Musume '14 concert in New York dominated the month. The concert represented several firsts for Morning Musume. Of course, the Best Buy Theater performance was Hello! Project's first "proper" (not affiliated with a convention or fan club event) concert in the United States. The concert was also the first overseas performance for many/most of the girls in the group. The trip provided the first trip to New York/continental US for most of Morning Musume '14. And, for many fans the concert was their first time attending a Morning Musume concert. As the subject has been written up many times already, I'll just link to New School Kaidan's podcast review and my personal MM14 x NYC travelogue. Wrapping things up, Morning Musume '14 released the "Tiki Bun / Shabadaba Doo / Mikaeri Bijin" single and the new album "14 Sho ~The Message~". Even though Michishige Sayumi's final single did not reach #1 on the weekly Oricon chart (it came in #2 for the week of 10/15/2014), its weekly total of 135,109 copies demonstrated the group's charting resilience. October also saw the latest album from Morning Musume. 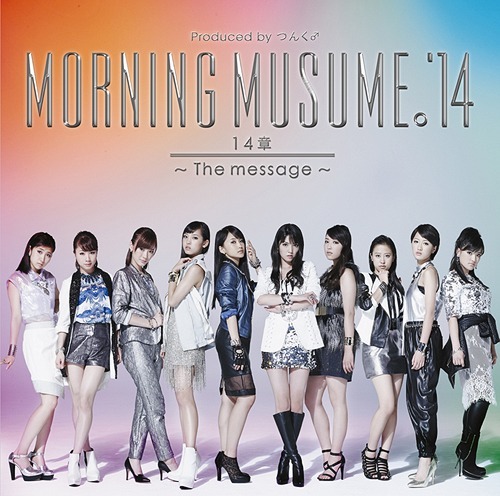 I'm actually a little impressed that the 14th Morning Musume album is being released in 2014 by Morning Musume '14! As of writing, I have not heard the just released "14 Sho ~ The Message~", but I know the promotional images look incredibly stylish. And finally, Michishige Sayumi's final photo book, "Your Love". Take my advice: you want this photo book in your life. (=) As you can imagine, the whole of October seemed focused on Morning Musume '14. But, this doesn't mean the other groups did not make any moves. In a world where the S/milers' worlds were not not turned upside down, the biggest news of the month would have been the S/mileage "Smile Fantasy Jukebox Musical". Coming into the month of October, the musical felt like a celebration for hard work and eventual stabilization of the S/mileage brand. The promotional images from the musical are probably the best the girls have looked in a while. However, the biggest news of the month for the rest of Hello! Project was the announcement of 3rd generation S/mileage. The addition to the group happened unconventionally. From all reports, 1st generation members Wada Ayaka and Fukuda Kanon instigated the process over growing concern for the health of the group should either or both of them graduate. In a stunningly fast turnaround, Kenshuusei members Murota Mizuki, Sasaki Rikako, and Aikawa Maho were initiated into the group amid perplexed looks and some sour glances. Remember all that talk about the stabilization of S/mileage? All the talk of new members and intra-group turmoil unfortunately detracted from the (now) inappropriately titled "Smile Fantasy Jukebox Musical". Well, I guess it wouldn't be S/mileage if new generations were celebrated. Actually, it won't even be S/mileage for much longer. The other half of the Dawa/Kanyon plan involves a new name for the group. By the time you read this, the girls will have probably announced their new name (I'm hoping for Shin Zoku S/mileage-V #α ). Even though S/mileage seemed like they were on an upswing, the best intentions got the group a new name, new members, new contentiousness, and new anxiety. So, although the group made headlines this month, the future of the group feels very tenuous. S/mileage certainly found a way to "peace-out" in style as this is probably the final Power Ranking for the group. It's a brand new world out there for the group formerly known as S/mileage. (=) For Juice=Juice, the month of October really began with the release of "Senobi / Date ja Nai yo Uchi no Jinsei wa" on October 1st. The single finished the week at #4 with 29,754 copies sold. Those 29,000 copies represent a perceptible drop in numbers for the Juicers, and more than one Hello! fan is worried about the downward trend. Released barely two months after the last single, "Black Butterfly / Kaze ni Fukarete", I'm wondering if the single was too much too soon. This kind of release schedule dilutes the Juice=Juice brand and could ultimately be destructive to the group. 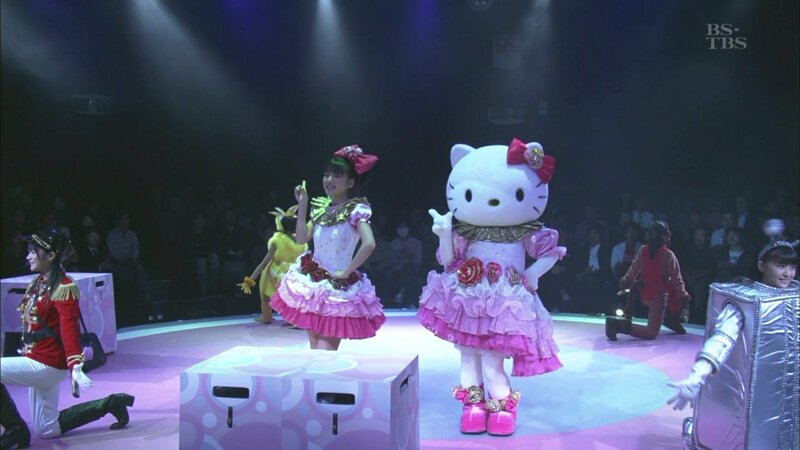 In a final news item, the debut performance of the Juicer's "Koisuru Hello Kitty" musical is next month. The musical sounds like a winner with Miyamoto Karin in the lead as Kitty-chan and Kanazawa Tomoko cross-dressing. From reports, this will be a musical version of the stage play of the same name from 2010 (starring Mano Erina and S/mileage). This is Juice=Juice's first stage play, and it will probably tide them into the new year. You'll have to tune in next month to see if another awkward announcement is made on this this musical's opening night. (+1) Like the rest of the Hello! Project acts, C-ute kept a low profile for most of the month of October. Perhaps the biggest news for the group was the revelation from Michishige Sayumi that C-ute's leader, Yajima Maimi, will become the leader of H!P after Sayumi's graduation. This is no ordinary passing of the torch. Maimi is the first Hello! Project leader from a group other than Morning Musume. What we see here is the fruition of the Hello! Project Kids project from 2002. While some might argue that the ascension of an H!P Kid was inevitable, I'm not convinced of this eventuality. If the 7th and/or 8th generations of Morning Musume were still in the project, I don't think choosing Sayumi's successor would be so easy. Congratulations to Yajima Maimi! I'll stay tuned to see how her reign will change Hello! Project. Next month, C-ute releases "I miss you / The Future " on November 19. In the last 48 hours (as of this writing) the PV for the new single "I Miss You" was revealed on the October 29 edition of Hello! Station. The group shows why they are the innovators of H!P PV with long takes and multiple cameras that intersect and intercut with one another. Together with "The Future", it looks like C-ute is set to explode next month! (-1) Berryz Koubou are wrapping things up! Their final release "Romance wo Katatte / Towa no Uta" is set for November 12 (just one week after the C-ute release). From the PV for "Romance wo Katatte" and the preview of "Towa no Uta" on Hello! Station #90, the songs are dripping with nostalgia. The songs feel like a goodbye, but are still upbeat and cheerful. Hopefully, we'll see a flurry of activity for the group on this, their final single.